The essay is an exhaustive survey of the British palate of the time, and it concludes with some of Orwell’s own recipes for sweets, including treacle tart, orange marmalade, plum cake, and, lastly, Christmas pudding. 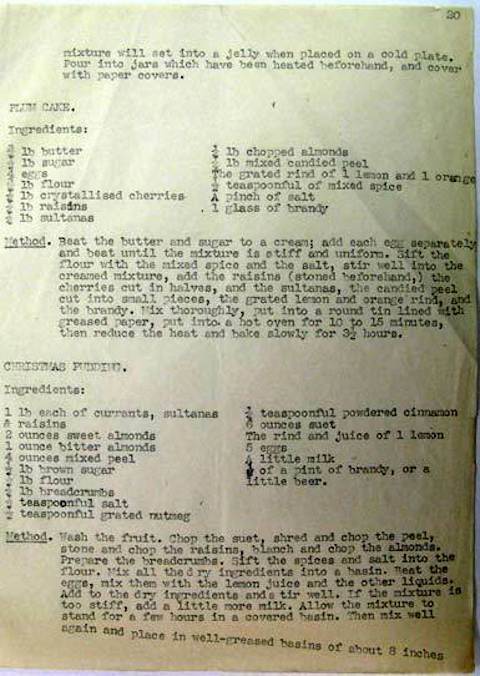 You can see the stained typescript of the last two recipes above, and read the full transcript of Orwell’s “British Cookery” here (the recipes are at the end). Having no experience with the strange world of British sweets and pies, I’ll have to take The Guardian’s Alex Renton’s word when he tells us that “the Orwell Christmas pudding is nothing radical.” Nonetheless, I’m tempted to try this recipe more than any of the others Renton mentions, even if I may not get my hands on real suet or sultanas. 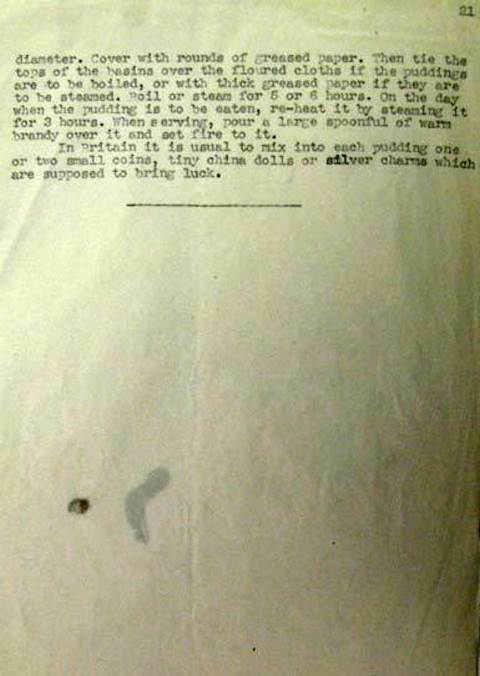 Read a transcript of Orwell’s Christmas pudding recipe below. had home-made english trifle many years ago-never forgot how incredibly delicious it was. The final sentence should read “it is usual”, not “it is unusual”.